« Day 125 in Beijing: Badminton Fun Time! 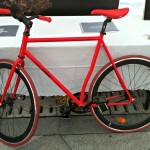 Day 126 in Beijing: Freewheels, Fixies, And Custom Bikes Galore! 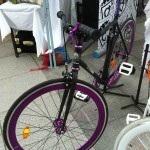 I’ve been taking pictures of bikes all over Beijing and decide to take some while I was down in Shanghai also. 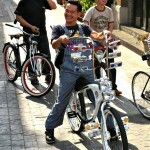 There are all kinds of bikes and people take a lot of pride in making them special. 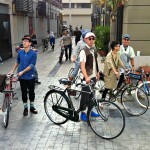 I caught this particular group in Shanghai going to a 1940s style bicycle festival on the Bund. 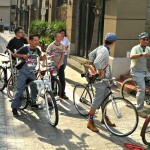 They were incredibly friendly and loved showing off their bikes to anyone that wanted to check them out. It reminded me, oddly enough, of growing up in Healdsburg, and the bikes and cars that the Low-Riders were cruise around in to show off. My mom grew up in Los Angeles and she still has friends from there that take pride in their cars paint jobs, culture and style. This dude had it going on! 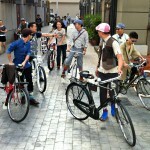 As if that wasn’t enough, there was a design conference going on in Shanghai and these were some of the nicest fixies I’ve seen in a while! 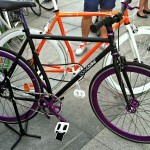 These bikes are sold in Beijing by a company named Polo & Bike. In case you didn’t know, there is a bike polo league in Beijing also. Screaming red and black! San Francisco Giants fans would love this one! Purple and black. My favorite of them all. 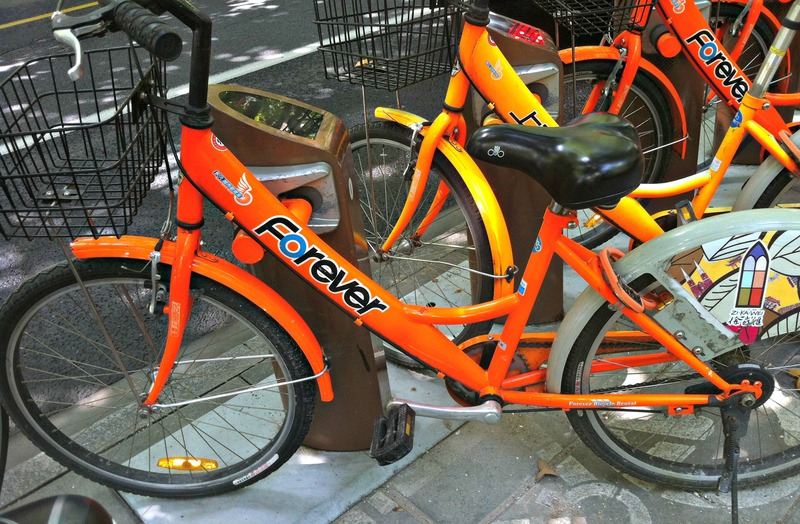 And, last but not least, the Shanghai bike share program has these really cute and colorful bikes on street corners around the city. One of the Shanghai Bike Sharing bikes.